The perfect piece of artwork for fans of Kung-Fu Panda! 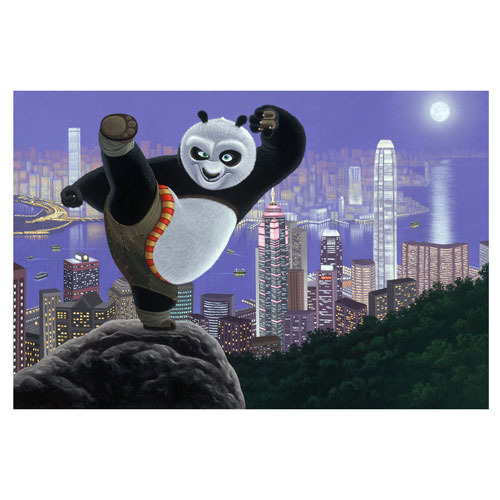 This Kung-Fu Panda Hong Kong Warrior Large Canvas Giclee Print displays a fun image based on the Kung-Fu Panda series of Po practicing his martial arts atop a rock, with the large city of Hong Kong expanding behind him. A limited edition of just 25 pieces hand-numbered and signed by artist Schim Schimmel, it comes complete with certificate of authenticity and measures 30-inches wide x 20-inches tall!